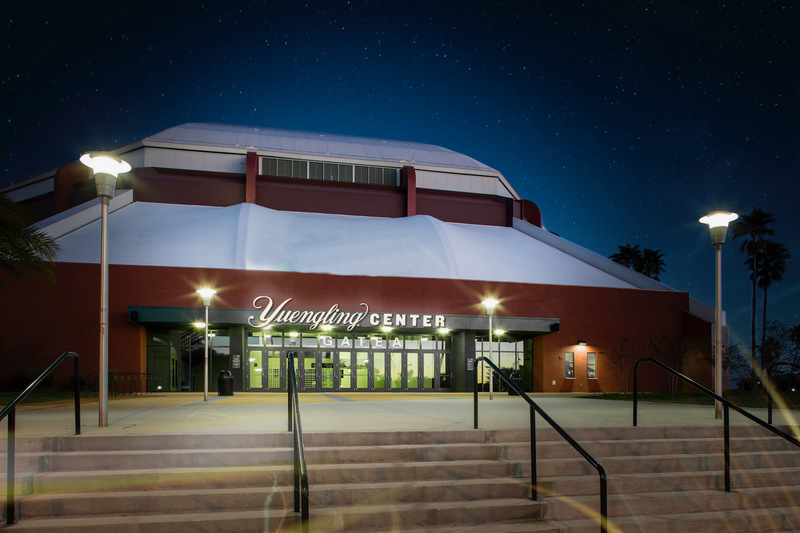 We are proud to announce that the Yuengling Center is the official name of the University of South Florida’s arena in Tampa, FL, effective July 1. Since our purchase of the Stroh Brewery in 1999, we have considered Tampa to be one of our two homes. Tampa and Florida play an integral part to our company. We have over 100 employees working at the brewery, and we’ve been successful all of these years because of the hard work and resiliency of our employees and previous generations of employees. We are constantly looking for ways to actively give back to the groups and individuals who made us who we are today. Our partnership with the University of South Florida (USF) started with Handshake Internship Program and recently expanded to include a sponsorship of USF’s St. Petersburg’s Brewery Arts Program. When the opportunity arose to support USF and the community at large in such an impactful way, we jumped at the opportunity to combine our passion for education with our commitment to the Tampa community. 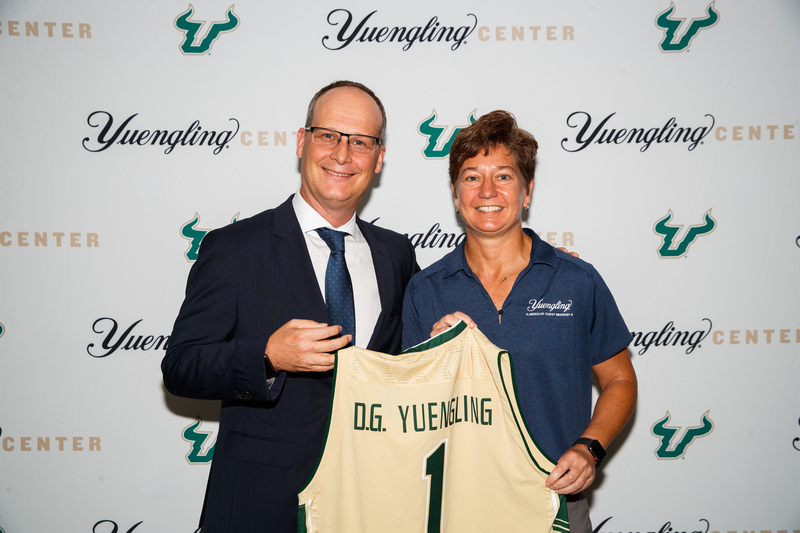 Part of our partnership will include a social responsibility platform inside the arena and throughout campus, extending USF’s already deep outreach and education with its students, faculty, staff and alumni. Highlights will include the leveraging of kiosks at entrances to the arena for messaging, designated ride share locations, and new initiatives with the USF student-body. 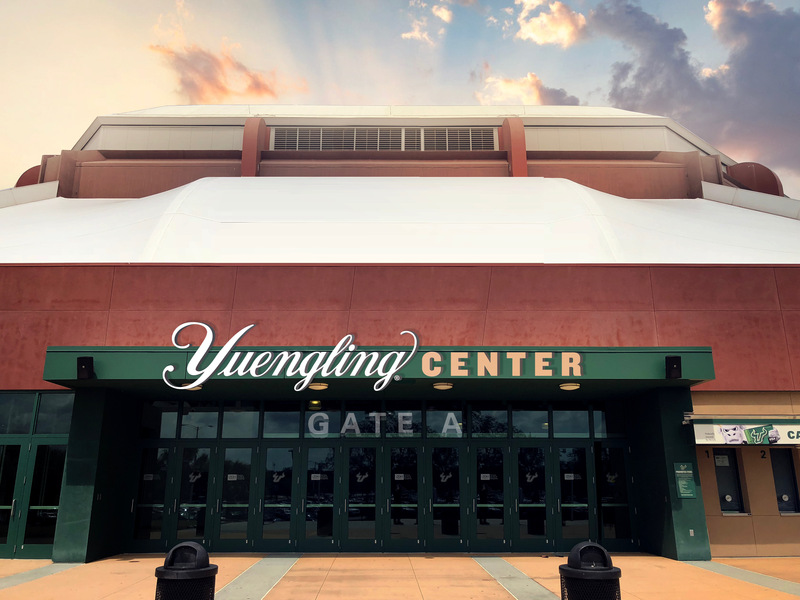 Keep a look out for exciting events coming up at the Yuengling Center and make sure to follow us on Facebook, Twitter and Instagram!